Boxing is a combat sport in which two participants, generally of similar weight, fight each other with their fists. Boxing is supervised by a referee and is typically engaged in during a series of one to three-minute intervals called rounds. 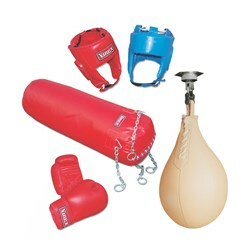 We are India's leading Manufacturer and Supplier of Boxing Equipment and Accessories. We have been producing high quality Boxing Equipment and Accessories that meet international standards. We have a wide selection of Boxing Head Guards, Boxing Gloves, Punching Bags, Coacher Pads, Speed Balls, Junior Boxing Kits, Boxing Rings and much more. 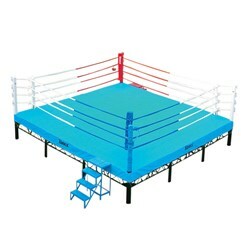 Our Boxing Rings are IABF certified.